This 12x12 double sided paper has 4"x6" Journaling Cards on the frontside. The reverse side has our Winter Friends playing on a Winter Day.Look for other coordinating Designer Papers, Ephemera Die Cuts, Photopolymer Stamps, Etched Die Cuts, Element Sticker Sheet and Winter Meadow Collection Kit. 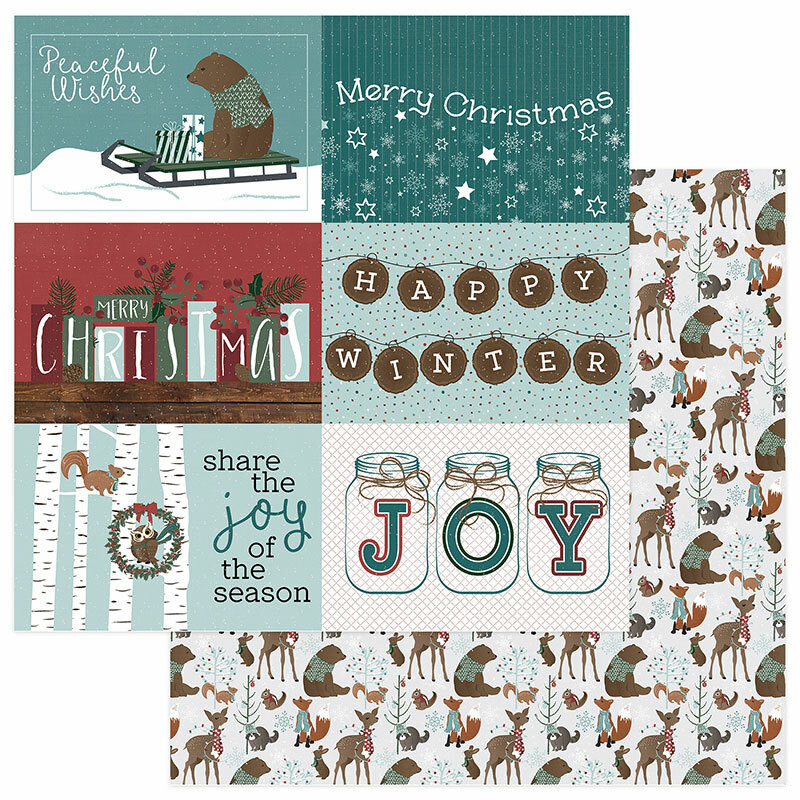 Winter Meadow Collection by PhotoPlay Paper.